Protec Metallic is in the family of high performance metallic finishes. It is a part of our Protec Alkyd Emulsion product line and offers the same balance of excellent performance & application properties. 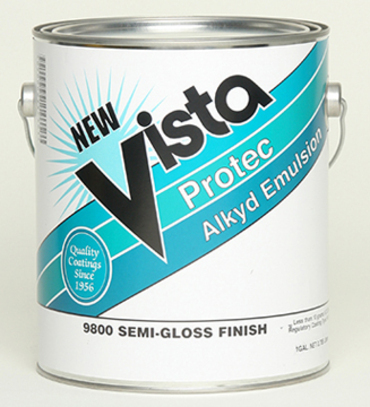 Protec Metallic finishes offer a step forward in water-based metallic finishes that are low voc and virtually no odor. These decorative products can be applied on a variety of interior & exterior architectural surfaces including metal (except unprimed galvanized metal), wood and primed cementitous surfaces. CAUTION: DO NOT SHAKE CONTAINER. KEEP ALL METALLIC PRODUCTS AWAY FROM HEAT. Please contact our Corp. Office for SDS of specifc color. Recommended Uses: Metal railings, door frames, windows, lockers, wrought iron and any other surfaces that require a metallic finish. Colors: See attached PI sheet for specific colors & glosses.